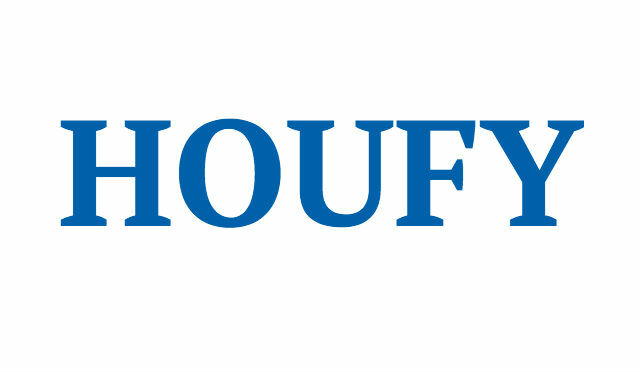 To follow Janine Williams, please log in to Houfy or create an account. Windsor Hills Resort! Closest to Disney! Gorgeous 5 bedroom/5 bath villa with private pool and spa! Our elegant five bedroom, five bath villa features a private pool and raised spa with waterfall on an enclosed and oversized lanai for complete relaxation after a long day at the parks. Our private pool backs to a conservation/garden area for extra privacy. Gas BBQ grill for outdoor family BBQ fun and sun. Beautifully appointed living/family room with entertainment center features 47" Smart TV, Spectrum cable TV with HBO, Playstation II and DVD/CD player. Converted garage features private gameroom features a pool table and air hockey table for more family time enjoyment. Five bedrooms -- each with its own bathroom for maximum privacy and comfort. No fighting over bathrooms! Two of the bedrooms are elegant master king suites with ensuite shower rooms on the lower floor. A queen-sized master, also on the lower floor, has an adjacent bathroom with tub/shower. The other two bedrooms, on the upper floor, are junior twins suites: one Mickey-Mouse-themed twins room (with 2 twin beds) and 1 "Finding Dory" themed twins room (with 2 twin beds). The beds are topped with plush two to three inch Serta memory foam mattress toppers for the ultimate in sleeping comfort. Each bedroom has its own flat panel TV with cable and DVD player. Gourmet granite & stainless steel kitchen featuring energy-star appliances including an extra large French door refrigerator, 4 burner convection stove with oven, microwave and dishwasher. Well-equipped to prepare meals for large families in style and well-situated open style to keep an eye on little ones and join in all the fun. Disney Dream Villa is located inside the 5-star Windsor Hills resort community, the closest private gated and guarded resort to Disneyworld -- just 2 miles! We provide complimentary access to all of the 5-star Windsor Hills resort amenities including the massive lagoon pool with enclosed, spiral waterslide, 40 seat private movie theater (you choose the movie), tropical clubhouse with games room, arcade room, fitness center and sundry shop. The resort also features tennis, basketball and sand volleyball courts, putting greens, children's play areas (including an amazing castle play area, picnic areas and more. Conveniently located near all Orlando parks including Universal Studios and the Harry Potter theme park. Top family-style restaurants, elegant dining, world-class golf and shopping are just minutes away. FREE WIFI! FREE VONAGE Long Distance to many countries including the UK, Canada & Puerto Rico. Last-minute discounts available. Please inquire. My husband, David, and I (Janine) are the proud owners of DisneyDreamVilla. David works for our local school board in Louisiana and I am a semi-retired attorney. Our home in Kissimmee is our special place to play and unwind while making wonderful memories with our family. We especially love Disneyworld and have gone many, many times. (We can answer almost any question about it!). We are happy to answer any questions and to help with discount information including car rental and our favorite attraction ticket provider. We accept credit card payments through Paypal.com so guests enjoy 2 layers of assurance that their online reservation is safe and secure. We require only 25% of the total rental price to hold your reservation. The remaining balance does not become due until 90 days before your first date of stay. Please don't be afraid to ask if you require more payment flexibility. We can also accept checks and bank wire transfers. We collect the damage (security) deposit with the final payment. It is released back to the guests in full within 2 weeks of departure if there are no damages. Even the best planning can go awry. If cancellation becomes necessary, we issue a rolling credit toward alternative dates that does not expire. (A $75 reservation change charge may be applied depending upon the circumstances of the cancellation). A signed completed rental agreement is required to confirm every reservation. Please refer to the rental agreement for all terms and conditions of the reservation.